Sophie Littlefield, author of the Bad Day series (A Bad Day for Sorry, etc) has hit a new level of excellence with The Guilty One. Many thanks to Net Galley and Gallery Books for the DRC! This book goes up for sale on August 11, and if you love a good novel, this one is for you. Our chief protagonists are Maris and Ron. Maris is Calla’s mother…or she was. Calla is dead now. The court has convicted Karl of her murder, a heartbroken, enraged loss of control over a bad teenage breakup. Ron is Karl’s father, and as we open our first setting, he is considering jumping off the Golden Gate Bridge. At the last minute he decides to phone Maris, and ask her whether to jump or not. It shows a good deal about Ron’s character, weak and lacking in integrity, that he not only phones Karl’s victim’s mother to dump the responsibility on her, but also wears a windbreaker to the bridge because his travel guide mentions that it is cool and windy there, even in warm weather. Maris has lost her marriage, and at first it appears to be a consequence of Calla’s death—so few couples can experience the death of a child and stay together—but as the story progresses, it becomes clear that a split was in the works long before this. And Maris makes a decision that resonates with me. She drops everything and everyone, more or less, and without thinking, going purely on instinct, starts over in a new place, with a greatly reduced standard of living. 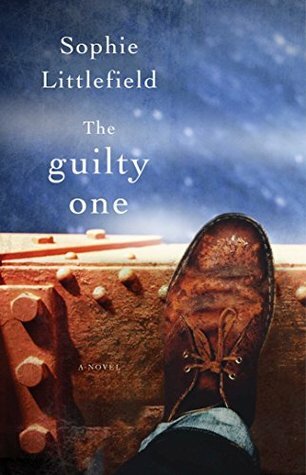 At first I wonder whether Maris is merely slumming, seeing how the other half lives, but deep down, I have to trust Littlefield not to do anything so shabby, and she doesn’t. Maris is the one we root for, the one that drives the plot forward and pulls us in. Ron and Deb have stayed together as Karl has gone through the trial and been found guilty, but the strain is there. Ron starts out entirely believable and not very likeable. He never becomes the stand-up individual that Maris is, but he is a dynamic character, complicated and interesting. He undergoes a lot of change as the story progresses. Throughout this riveting novel, there was never a moment when the veil lifted and I recalled that these characters weren’t real. I raced toward the end with a sense that I had to see how it came out, and then when it was over, I felt a sense of loss, wanting to turn another page and find Maris still there so I could check in with her, like a good friend. And that is ultimately the hallmark of great writing. Get online. Take a bus. Get in the car. Hijack a plane—okay, maybe not—but do what you need to do in order to get a copy of this accessible, compelling new fiction. Littlefield rocks it. You can pre-order it now, so you will be able to read it right away. If you do, you too will want to stand up and cheer!